Inflation has caught up with electricity prices. 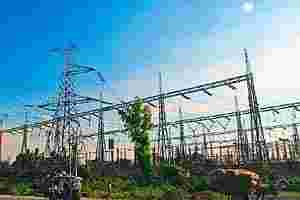 Prices in the spot markets rose by 82% to ₹ 4,285 per megawatt (MW)-hour. On 2 December last year, average MW-hour price on the Indian Energy Exchange stood at ₹ 2,344. A combination of factors is driving the electricity prices. Low capacity additions and the unavailability of fuel have significantly crimped electricity generation. Against a set target of 2,373MW, the industry added just 345MW of capacity in October. According to BRICS Securities, in the year to October, only 75% of the targeted capacities has been added. Demand, on the other hand, continues to remain firm. In October, the energy deficit in India stood at 9.6%. In the same month last year, the shortfall stood at 6.8%. Overall, firm demand and high costs are driving electricity prices. High prices might be bad news for consumers but the trend is unlikely to reverse anytime soon. Akhand Pratap, analyst at First Global, expects the spot power prices to trade firm for one more year. According to Pratap, with state electricity boards increasing prices (13 states have hiked tariffs in July-November), spot markets have got some support. Another factor is the coming state elections. Five states will go to elections next year. With supplies remaining tight, most state electricity boards are expected to buy power from the open market. Pratap says, “Sure, loadshedding will happen, but they can do that only to a certain extent. Beyond that, they will have to make open market purchases."